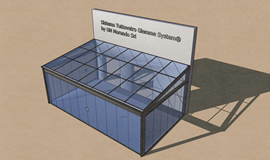 Besides closing off perimeter walls with the Giemme System, GM Morando also designs and builds structures for verandas and for closing off balconies and terraces. 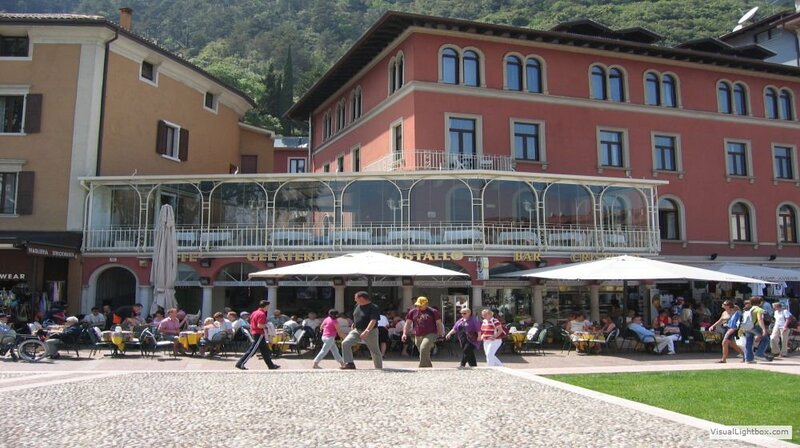 We are involved from the beginning for the design and to the end installation, even for verandas or outside spaces for businesses such as restaurants, hotels pubs or bars. We propose structures consistent with our “all-glass” philosophy. 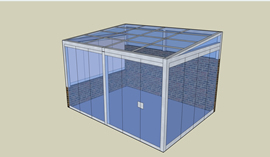 We use minimum fixtures so we can expose as much of the glass as possible, therefore we create roofs made from glass which can be opened or fixed. 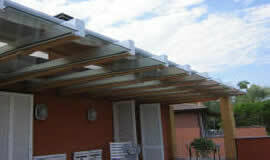 If your needs are different, we can also create opaque roofs with insulation. The perimeter pillars and supporting structure can be in iron or wood depending on your needs. All our creations are custom made. We provide certification of compliance to regulations. 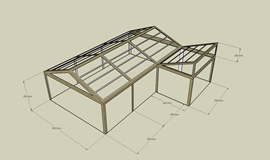 In the rendering you can see examples of verandas with a support structure in galvanized iron covered with sheet aluminium. 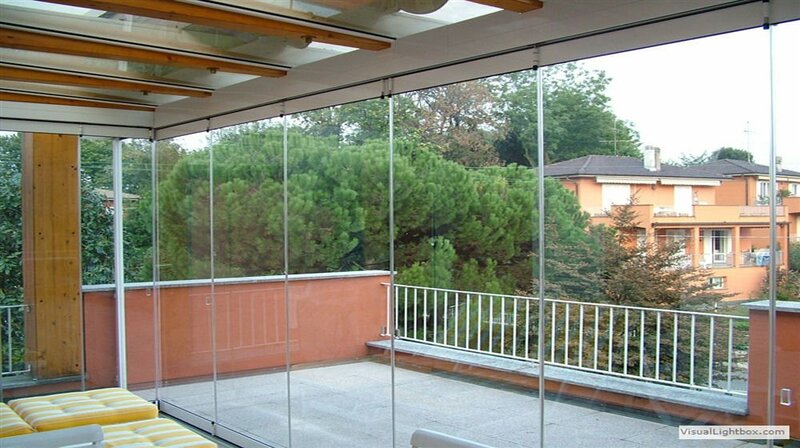 The fixed cover is made of single-pitched aluminium and glass joists made from 8mm size tempered reflective glass+12+visarm 55.1. This country home (pictured on the left) created an all-glass veranda with a frosted glass roof. 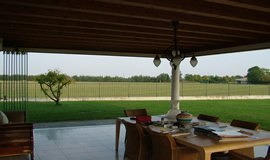 The photo on the right shows a veranda using existing perimeter walls. 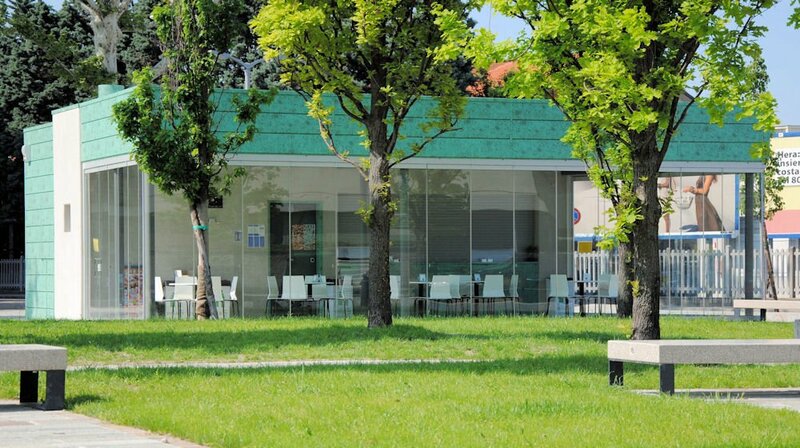 The project on the left shows a structure, in this case designed in wood, before the application of the windows. 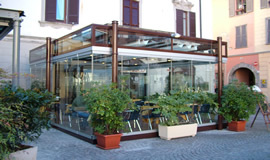 At the specific request of the customer, a restaurant in Brescia, we implemented 11 linear metres of glass without internal pillars. Doors fold up to the mounted side. Also available without floor guide rail. Can be opened internally or externally. Glass doors folding up on both sides with centrally opening entrance door. Also available without a floor guide rail up to a maximum of 7 doors (4 doors on one side 3 on the other). Entrance door with lock and handle in aluminium. Can be opened internally or externally. 3D is a folding glass door system composed of 6 panels with a centrally opening entrance door. 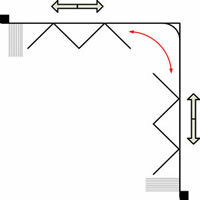 Corner without mounts, with magnetic seals. Allows all the doors to be folded up to one single point. Thanks to the curve, the doors can glide around the corner from one side to fold up with the doors at the other side. Can be opened internally or externally. Only available with an external or recessed floor guide rail. In the picture the doors have passed the angle and are going to fold up with the other doors at the side.